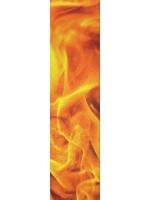 Our traditional heat transfer park decks are best for wall art. Most of our Park deck sizes listed on the site are available with this method. These boards are made using the traditional heat transfer method on American Maple. The design has a glossy finish and designs on this type of board may scratch easier that the alternative method. However, we can give a greater price break for these types of boards based off of numbers of designs. 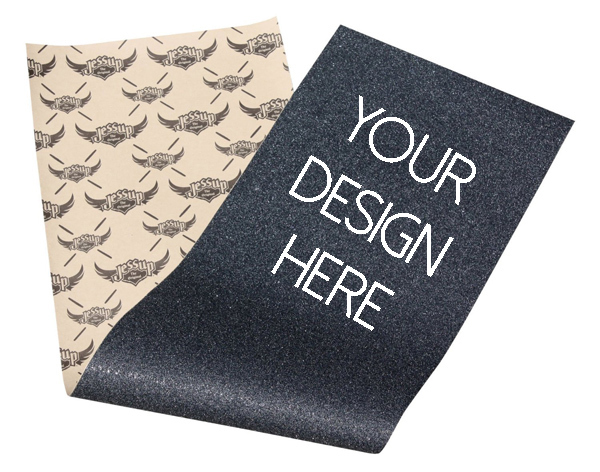 These are great for promotional giveaways or wall art. 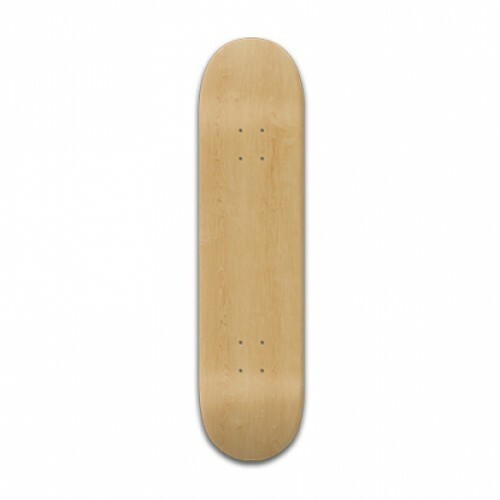 We have these in 7.5″ -8.5″ in steep and mellow concave. Please note the boards with mellow concave are stained on the top. Using vibrant colors when designing your deck for wall art will really make the deck pop. Dark colors do not transfer well and may print darker than they should. Be sure to check with our customer service if you have a logo you want to use. We will make sure the color quality matches as close as possible! 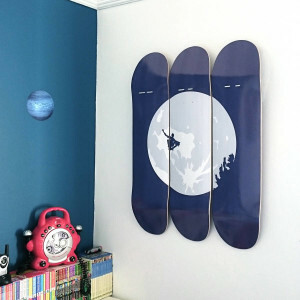 You will be so happy with how the custom skateboard deck looks on your wall! 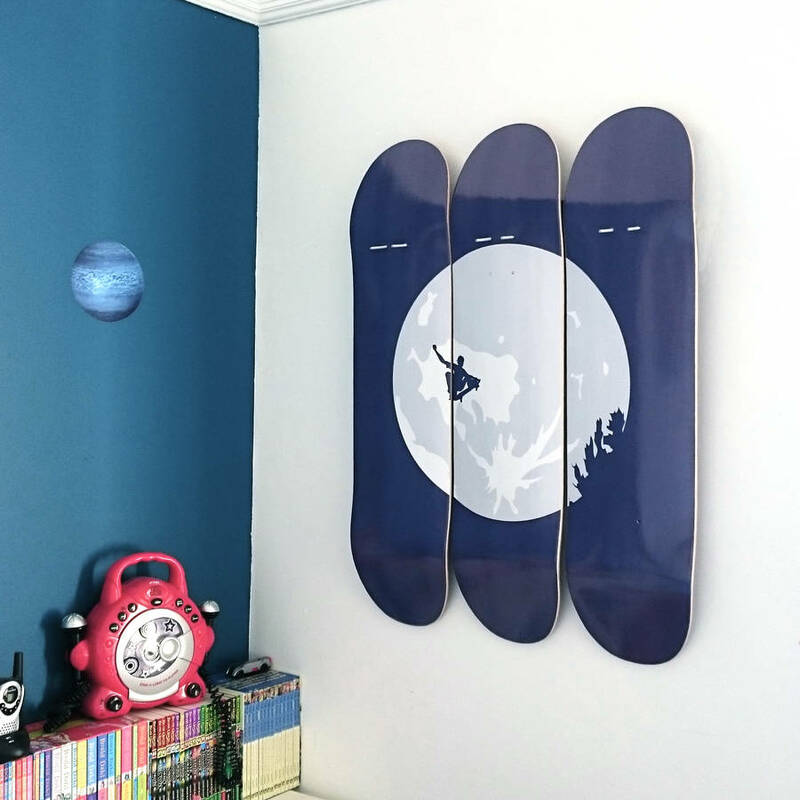 Custom skateboard wall art is such a cool way to decorate your space. Have fun with designing! Use colors, backgrounds, texts and upload photos! The possibilities are endless when it comes to designing a deck. If you’re ever unsure of resolution or color qaulity, you can always reach out to our customer service team and request a proof.  Have fun with designing your custom skateboard wall art! Ready to create your Custom Skateboard? 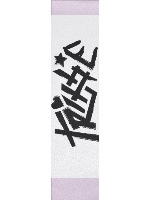 Stand Out with A Personalized Skateboard with Text! Everyone is different and unique so why shouldn’t your skateboard be too? You no longer have to accidently have twinning skateboards with someone else. Are you an artist? 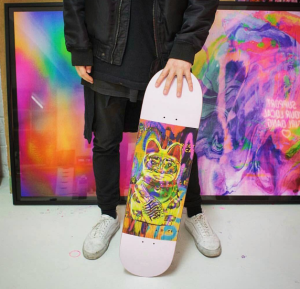 Put your art on a skateboard! Do you love funny memes? Put your favorite meme on a skateboard! All of our skateboards can be personalized with your text, photos, and graphics making you sure to stand out amongst the crowd. Whatever you are into, put it on a custom skateboard and share it with the world. Our online customizer is easy to use and you can become a skateboard designer in just a few simple clicks! Pick a background from our extensive background library. Add Pictures, Graphics, Logos, Text, Names, and More! 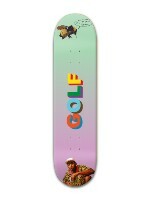 You can even upload your own images, pictures, or logos to use on your personalized skateboard. Choose from our extensive font library and write whatever you want on your skateboard. Is this a gift? Add the person’s name or nickname or maybe their favorite quote or saying to make the personalized and custom skateboard especially meaningful. Are you looking for cool and unique promo ideas? 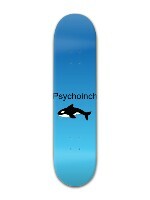 Design your a skateboard for your company or client and put their logo on it. Do you want to spread the word on a cause? Put the message on a custom skateboard with our text editor. Easily move text around, adjust text size, as well as rotate text on your personalized skateboard design. What’s more fresh than having a custom personalized skateboard? Having a custom personalized skateboard with matching grip tape! You can even color coordinate your trucks and wheels to really stand out, simply make it a complete! Have a special someone you would like to surprise with their very own custom and personalized skateboard? As skateboarding has gained more and more popularity over the years, the design of decks has gotten increasingly more creative. 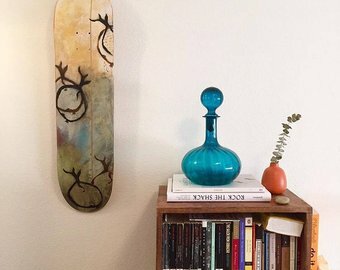 There are plenty of ways to be creative when it comes to your skateboard deck, and we make it easy with our online customizer. Since you are able to fully customize your skateboard on our website, the possibilities really are endless. One rad way to customize that we have been digging lately is putting photos on your board. You can place a single photo, multiple photos, or create a collage of photos to put on a deck. Not sure what type of photo to use? We share some of our favorite ideas and ways to have photos on a skateboard. Photo-adorned skateboard make great gifts as well. Order a board with photos of the birthday boy and he will be stoked on his birthday present. Friends tying the knot? Have a few of their favorite photos as a couple transformed into a keepsake that they can either display or ride down the street. 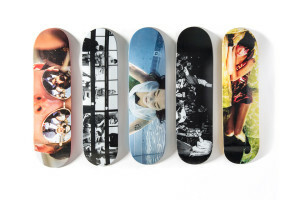 Skateboards with photos of you also make a great holiday gift for your parents. Even if they don’t ride, having something you made for them that you enjoy with your favorite photos is sure to please. If you don’t want to use photos of yourself or others, consider the endless other possibilities. If you are a photographer, placing on of your original photos on a skateboard is the perfect way to attract attention to your work while creating the perfect way to get around while you are taking photos. Or perhaps you have some old photos laying around that hold sentimental value. Putting them on a skateboard is a great way to preserve the memories in a fun and creative way.